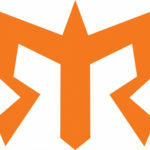 Ragnar Trail Atlanta-GA presented by Salomon is the ultimate weekend getaway. Teams of 8 (or 4) will come together in April to conquer a series of three smooth single track trails that start and finish at Ragnar Village. The adventure starts on Friday at the Georgia International Horse Park, a former Olympic venue situated outside of the city lights of nearby Atlanta. Runners will run on top of granite slabs, across small bridges and through forests filled with Georgia pines, streams, ponds and wildlife. This venue features the perfect mix of natural beauty, challenging technical uphill sections, and flowy, gradual, descents. Get ready to celebrate with your team all night around the campfire where you can enjoy friends, s’mores, music, movies, and a billion stars overhead!